Facebook is great for keeping up on what you’re family and friends are doing. Where they’re hanging out. What they think is worth talking about. And sometimes you’ll even find some good old fashion entertainment in your Feed. But after a while, it can become a complete drag. Somewhere along the way you lose track of all the great posts your friends are sharing and end up getting all the crap you don’t really care about. 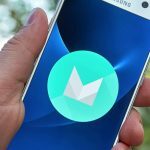 Use these 5 tips to get your feed full of the fun social stuff you care about and trash all that other stuff that just brings you down. Feel like you’re the phone is constantly vibrating with updates from Facebook, like requests to join games you will never consider playing. 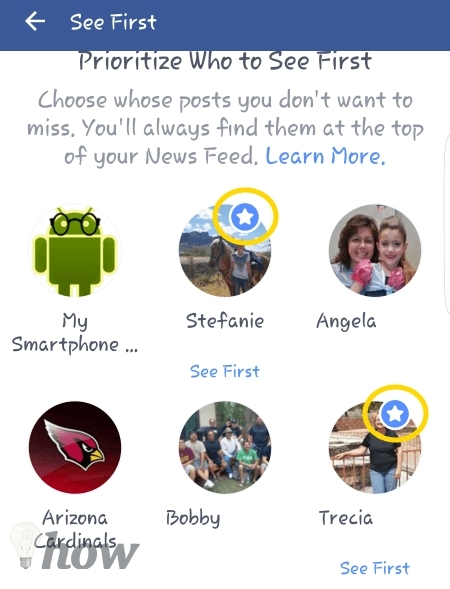 Fortunately, you can let the App know which types of Facebook updates you actually care about. 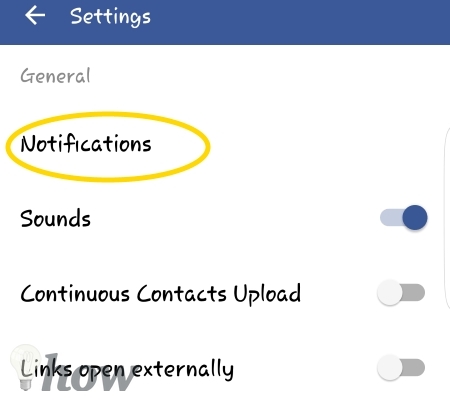 Tap the Slider button to turn off specific notifications. 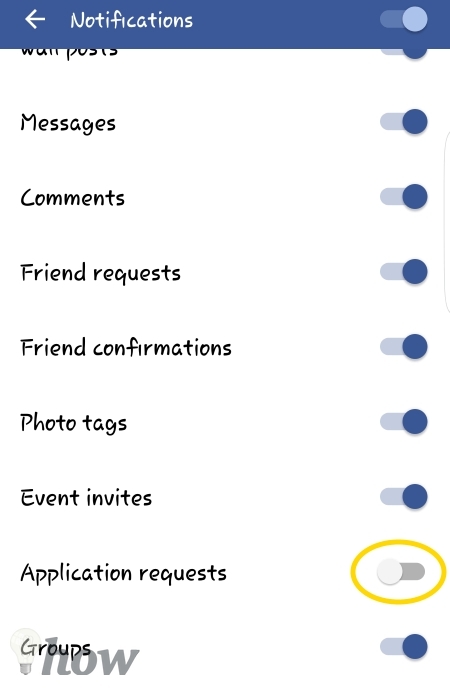 Game requests are grouped in with Application Requests. 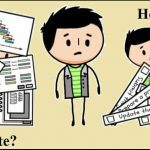 Found a recipe, video, or tutorial you would like to use later when you actually have some time. You don’t have to share it to your timeline – you can save it for later. Tap on the Down arrow in the upper-right corner of a post. 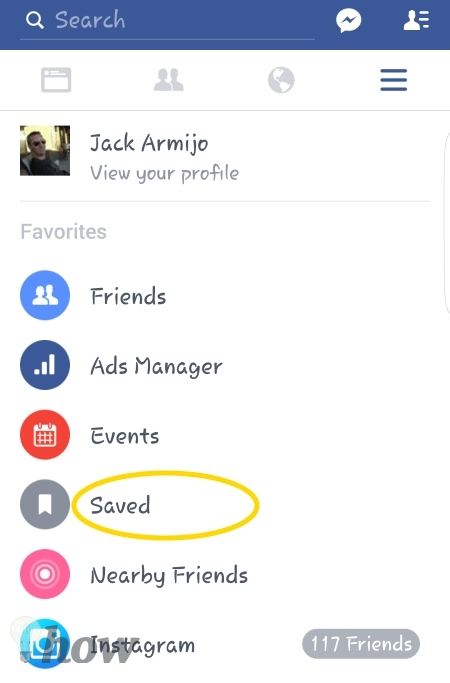 To view your Saved Items, just tap on the Three Lines Menu icon. Did you comment on a friends post and now you’re receiving hundreds of notifications about likes from people you don’t even know. Happens to me all the time. 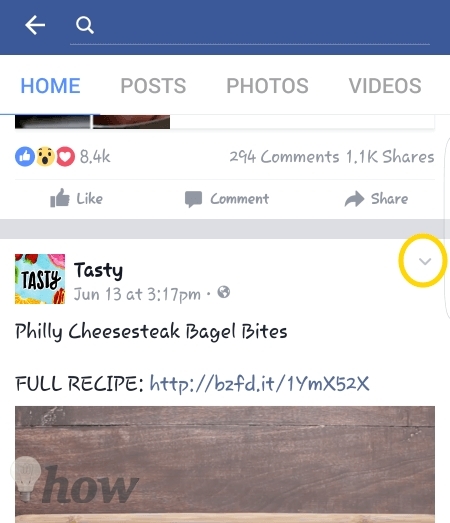 Fortunately, you can turn off single post notifications. Tap on the Down arrow in the upper right corner of the post. 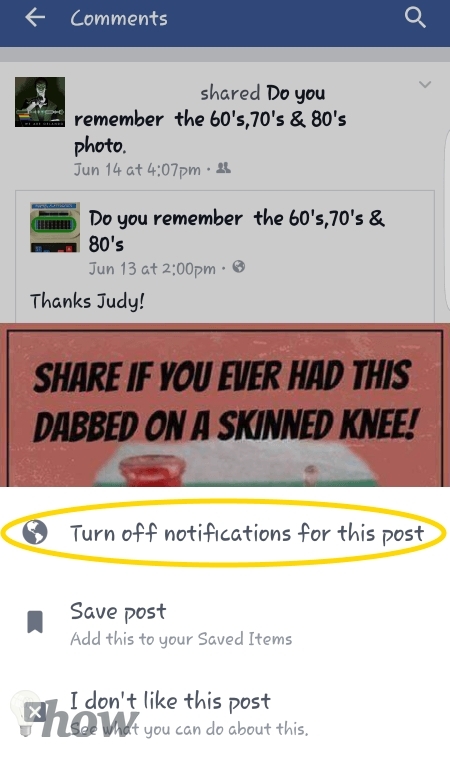 Tap on the Turn Off Notifications For This Post. Ever wonder why certain ads keep showing up in your feed. 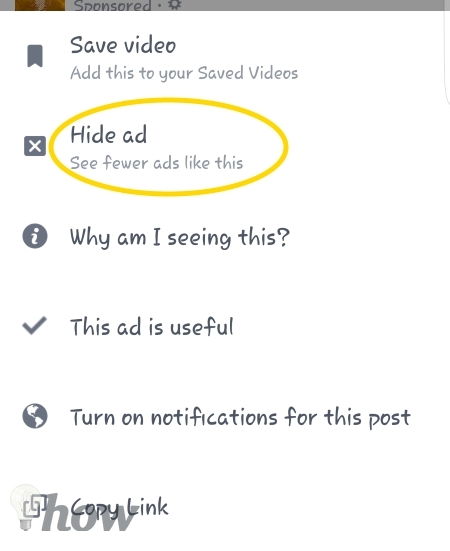 You can actually tell Facebook that you no longer want to see that Ad or any others like it. On an Ad or Sponsored post tap on the down arrow in the upper right corner. Tap on Hide Ads. 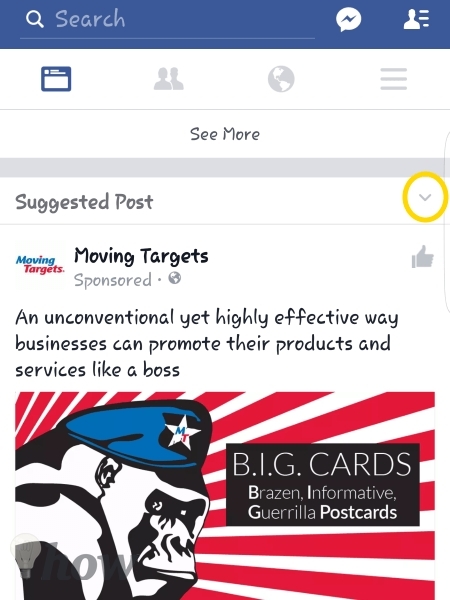 Facebook will get the hint and show you fewer ads like that one. All the previous tips where to help you clean out the trash. 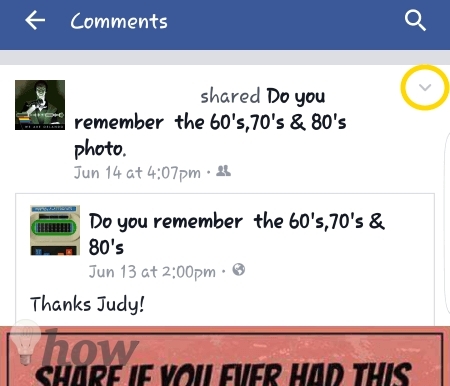 This tip is how you go about telling Facebook who’s posts you actually want to see. 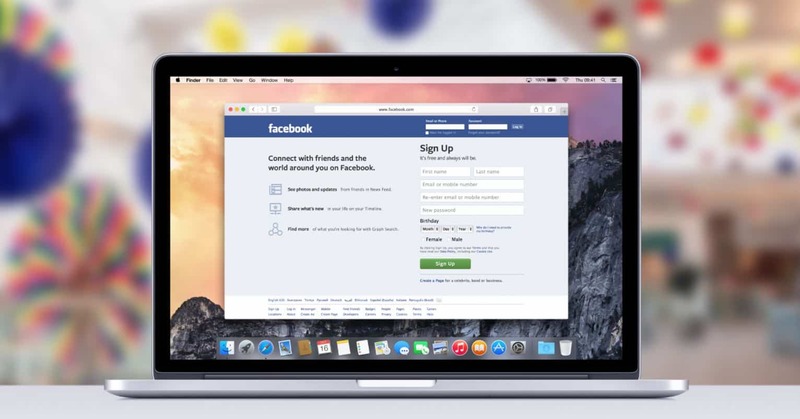 This used to be a difficult process but Facebook has turned it into a sort of step-by-step wizard. First, tap on the Three Lines Menu icon. 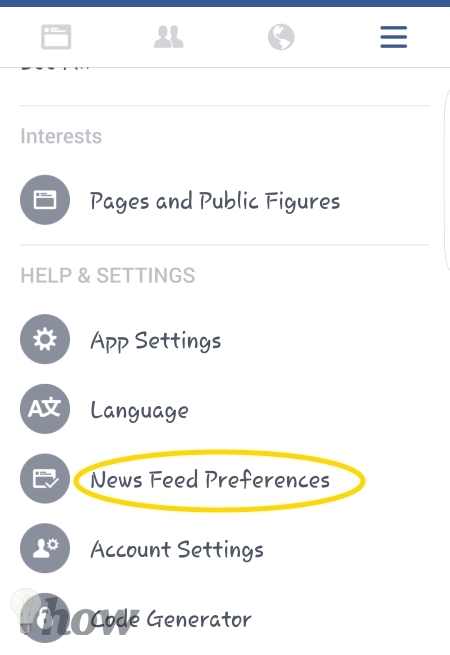 Scroll down and Tap on News Feed Preferences. To pick the Friends lists that you prefer to see, tap on Prioritize Who To See First. 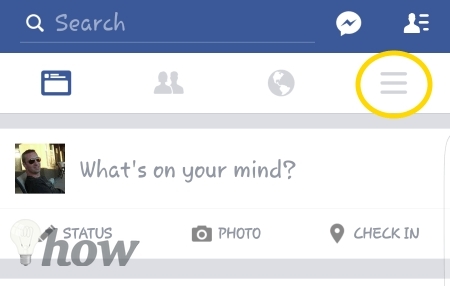 You’ll get the full list of ALL your Friends – you could be scrolling for days depending on your “Friend” list. Tap on the priority ones – their picture will have a little star like icon on it when you’ve selected them. Accidentally tapped on the wrong person – just tap their picture again to un-select them. 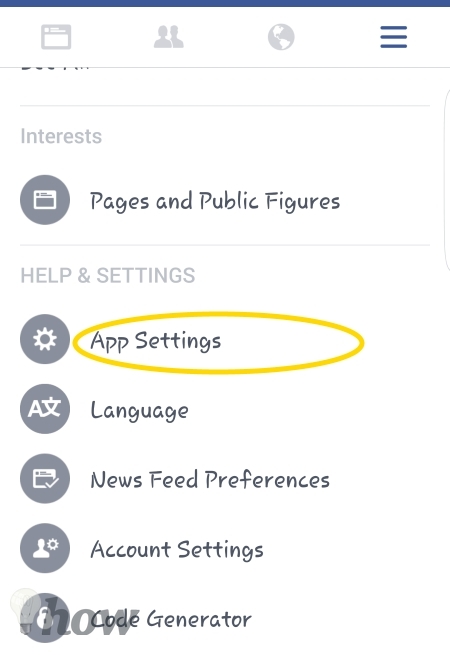 Tap the Back arrow located in the upper left corner of the screen to return to the Preferences page. 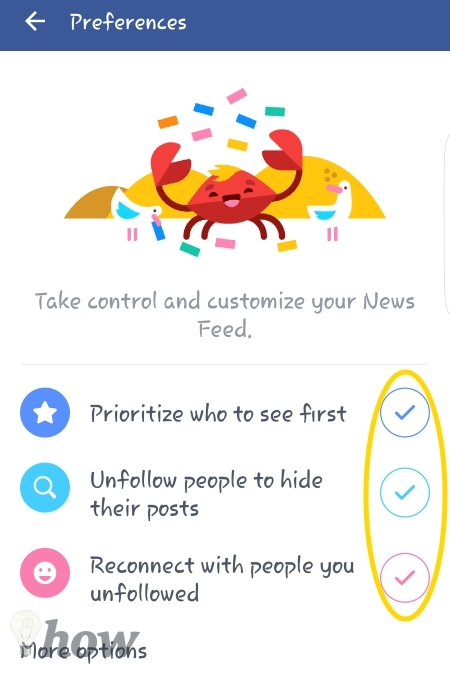 From here, tap on Unfollow People To Hide Their Posts. This does not unfriend them. It just notifies Facebook that you no longer wish to see posts from these people. NOTE: Since you’re Friends you can still Message and Tag each other. Tap the photo of each person you no longer want to follow. That’s how you clean up your Feed so you see the stuff you care about most. Take a few minutes to walk through these 5 tips. 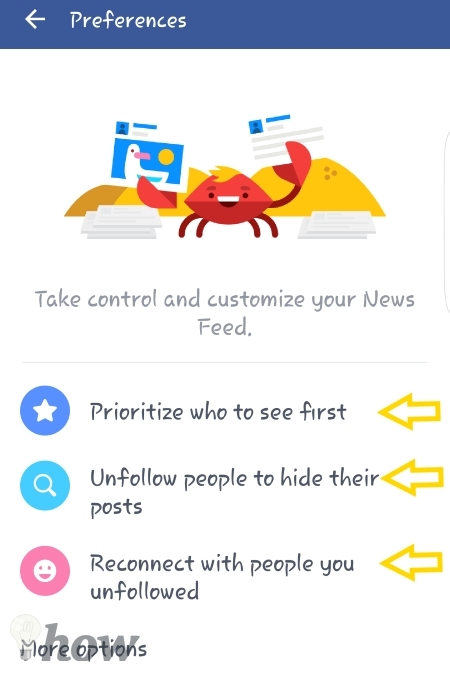 In the next day or two, you’ll start to see a big improvement in your Feed. And if you don’t, maybe you picked the wrong people to prioritize – so go back through tip #5 again. Or get new friends.